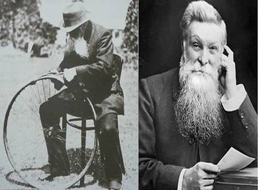 31st – Scottish vet John Boyd Dunlop patents the pneumatic bicycle tyre on this day in 1888. 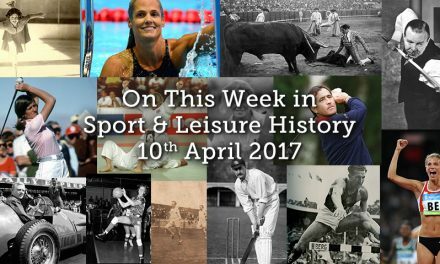 In 1908, the 4th Olympic Games in London came to an end. The Federation Sportive Feminine International, the first woman track and field association, was formed on this day in 1921. 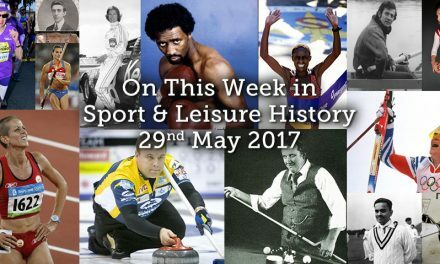 Australian snooker player Eddie Charlton was born in 1929. Known as ‘Steady Eddie’ because of his deliberate style of play he was one of the leading players in the 1970s and early 1980s. He later earned himself a reputation as a television summarizer. An all-round sportsman in his younger days, Charlton was a fine boxer; a member of the crew that won the Australian surfing championship; an above-average cricketer; good at roller-staking and athletics, and a senior grade Aussie rules footballer for many years. In addition, he was one of the torch-bearers of the Olympic flame when the Games went to Melbourne in 1956. Cyclist Jeannie Longo of France was born in 1958. She has won a record eight individual world titles and was the Women’s Tour de France champion between 1987 and 1989. In 1987 Chetan Sharma of India became the first cricketer to perform a hat-trick in the World cup when he dismissed three New Zealand batsmen at Nagpur. On this day in 1999 yachtsman Jesse Martin returns to Melbourne after 11 months of circumnavigating the world, solo, non-stop and unassisted. Professional surfer Bethany Hamilton has her arm bitten off by a shark in Hawaii in 2003, she was 13 years old at the time. Despite the trauma of the incident, Hamilton was determined to return to surfing. One month after the attack, she returned to her board. 1st November – On this day in 1604, William Shakespeare’s ‘Othello’ was performed for the first time at the Whitehall Palace in London. The Gaelic Athletic Association was formed in 1884, founded to promote Irish sport and games. The association denied membership to the police and army and is immediately infiltrated by the Irish Republican Brotherhood (IRB). Today the association, which includes the traditional Irish sports of hurling, camogie, Gaelic football, handball and rounders and also promotes Irish music and dance, and the Irish language, boasts more than 500,000 members worldwide. Gary Player, South Africa’s finest golfer as born in 1935. An outstanding golfer who stayed at the top for more than 20 years, he won the first major tournament, the British Open, in 1959 and his last, the US Masters, at the age of 42 in 1978. He was one of only five men – Gene Sarazen, Ben Hogan, Jack Nicklaus and Tiger Woods are the others – to win golf’s four Majors. 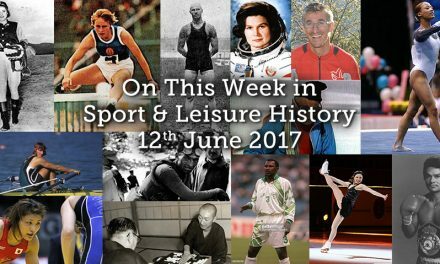 The popular BBC radio programme Sports Report first went on air in 1947. Over the years it has had many famous hosts, including Eamon Andrews and Des Lynam. 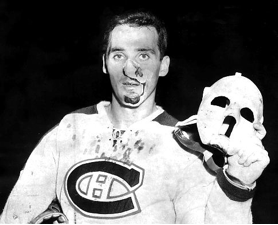 Montreal-Canadiens goaltender Jacques Plante wears a protective mask for the first time in an NHL game today in 1959. 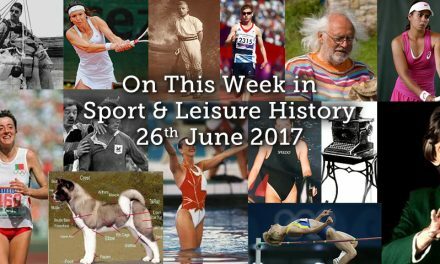 Top British swimmer Sharron Davies was born in 1962. 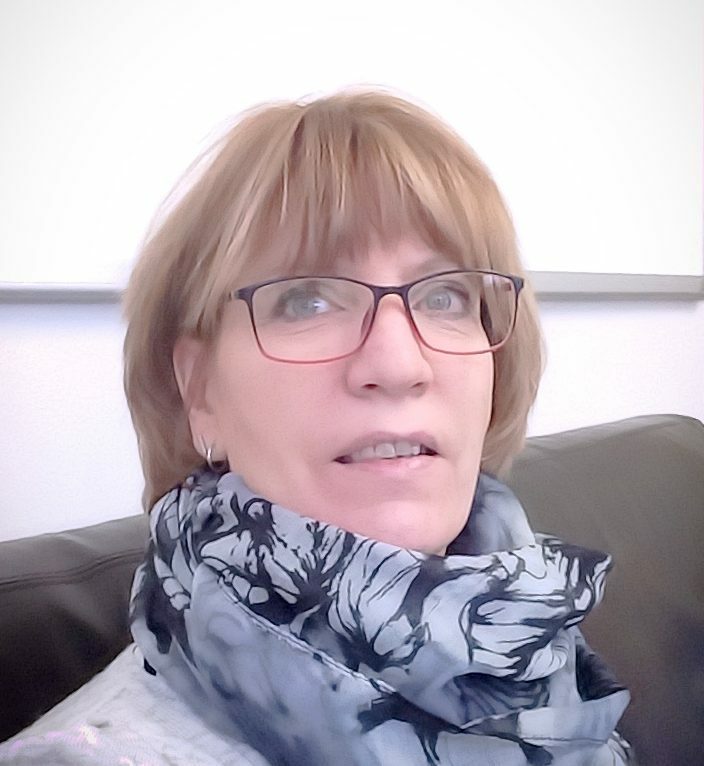 She won a silver medal in the 400m individual medley at the 1980 Olympics in Moscow, and two gold medals at the 1978 Commonwealth Games in Edmonton. Since retiring from the sport she has worked as television presenter. 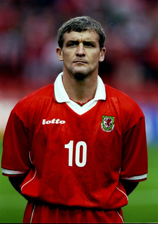 Manchester United and Wales striker Mark Hughes was born in 1963. A prolific goal scorer, Hughes played for Barcelona and Bayern Munich before making a much welcomed return to Old Trafford in 1988. He is currently the manager of the north-west Premium League side Stoke City FC. Born today in 1991 was Eyþór Arnarson, Icelandic Alpine skier. He has won multiple awards in various Icelandic youth skiing competitions and is widely considered the most prominent young Icelandic skier. Being a natural athlete Eyþór could have gone pro in both skiing and floorball, but chose skiing to make his father proud. In 2004, he won the regional youth chess championship in Akureyri. Eyþór played in a lower league football team called Refirnir in the 2011 season. He even scored a goal, but it was disallowed. 2nd – On this day in 1898 Cheerleading is started when Johnny Campbell led the crowd in cheering the University of Minnesota football team. London 1903, see the Daily Mirror published for the first time. Australian tennis player Ken Rosewall was born in 1934. He won the Australian, French and US titles but never Wimbledon, despite contesting four finals there between 1954 and 1974. In the 1974 final he was soundly beaten 6-1, 6-1, 6-4 by Jimmy Connors, who was only two years old when Rosewall appeared in his first Wimbledon final. On this day in 1936 the first high-definition public television transmissions began from Alexandra Palace by the BBC. Moroccan long-distance runner Said Aouita was born in 1959. In 1983 he held world records at four recognised IAAF distances: 1000, 2000, 3000 and 5000m. He won the 5000m at the Los Angeles Olympics in 1984 and at the World Championships in 1987. In 1960 a British jury determines that Lady Chatterley’s Lover, a novel by D H Lawrence was not obscene. 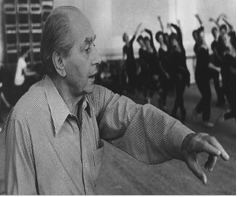 Igor Moiseyev, the master choreographer who created a new form of theatrical folk dance in Russia and whose troupe was one of the most popular dance companies of the 20th century, died this day in 2007 in Moscow. He was 101. 3rd – On this day in 1507, Leonardo da Vinci is commissioned to paint Lisa Gherardini (‘Mona Lisa’. James J Jeffries beats Tom Sharkey in 25 rounds for the heavyweight boxing title today in 1899. Kitei Son runs a then world record marathon time of 2:26:42 in 1935. Australian tennis player Roy Emerson was born in 1936. He won the Wimbledon final twice in 1964 and 1965. Gerd Muller, West German footballer, was born on this day in 1945. At international level with West Germany, he scored 68 goals in 62 appearances, and at club level, after 15 years with Bayern Munich, he scored a record 365 goals in 427 Bundesliga games and an international record of 66 goals in 74 European club games. Averaging more than a goal a game with West Germany, Müller is now twelfth on the list of all time international goal-scorers despite playing fewer matches than every other player in the top 25. Among the top scorers, he has the third-highest goal-to-game ratio. Boxer Larry Holmes was born in 1949. He won the world heavyweight title in 1978, beating Ken Norton on points over 15 rounds. He made 20 successful defences before losing to Michael Spinks in 1985 and suffering his first defeat in 49 professional fights; had he won Holmes would have equalled Rocky Marciano’s record. Arsenal and England striker Ian Wright was born in 1963. In 1990 Simon Hodgkinson scored 23 points for England against Argentina at Twickenham to beat Douglas Lambert’s 79 year old record by one. Joseph “Joe” Clarke, British slalom canoeist was born in 1992. He has competed since 2009 in individual and team K-1 events. He is the 2016 Olympic champion in the men’s slalom K-1, and has won medals in team events at World and European Championships. 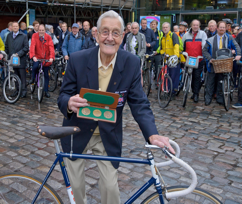 Thomas “Tommy” Godwin, British track cyclist, active during the 1940s and 1950s died on this day 2012. He held national records and raced abroad. He later became a coach, manager and administrator. In 2010 he was selected as an ambassador for the 2012 London Olympics. Earlier in the year of his death, aged 91, he was selected to take part in the Olympic torch relay, carrying it through Solihull. 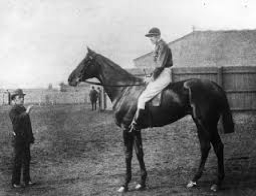 4th – On this day in 1886 champion jockey Fred Archer had his last ride in public, aboard Tommy Tittlemouse in the Castle Selling Plater at Lewes. Four years later Archer committed suicide. Ruth Handler, businesswoman and toy designer who co-founded Mattel with her husbandand created the Barbie Doll was born on this day in 1916. On this day in 1924 professional boxing was legalised in California, it had been illegal since 1914. In 1939 the 1940 Olympic Games were awarded to Helskini. Jacques-Joseph was born today in 1953. A Canadian racer, he is the younger brother of the late Gilles Villeneuve, and uncle to Jacques Villeneuve (1997 F1 world champion). He was born in the small town of Berthierville, Quebec, Canada. He is now frequently known as Uncle Jacques because of the rise of his nephew. He had a varied motorsport career, taking in Formula Atlantic, CART, Can-Am, snowmobile racing and Formula One, and remains a revered figure in Canadian motorsport circles. Villeneuve was the first three time winner of the World Championship Snowmobile Derby. David O’Leary played his 622nd game for Arsenal’s first team in 1989, a club record. He went on to make 722 appearances all-told which still stands as a club record. Bryan Robson announced his retirement from international football after being left out of the England squad for the game against Poland in 1991. Rosella Hightower, American ballerina, died on this day 2008. She achieved fame in both the United States and Europe. 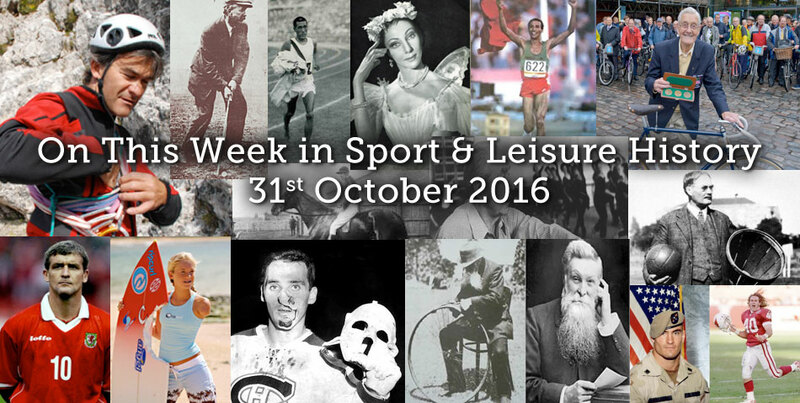 5th – On this day in 1605, Guy Fawkes…….. no no no I’m not going there – can’t decide if that’s sport or leisure or in fact either!!! In 1886, David Brown, Scottish professional golfer, shoots a 157 at Musselburgh Links to win the 26th British Open. 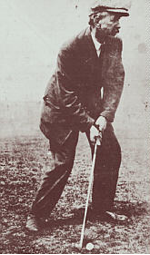 He also finished second in the 1903 US Open and had 12 top-10 finishes in major championship tournaments in the late 19th and early 20th centurys. In 1935 Parker Brothers began marketing the board game Monopoly. Arsenal manger Herbert Chapman persuaded London Transport to change the name of the proposed new underground station close to Highbury from Gillespie Road to Arsenal on this day in 1932. Jockey Lester Piggott was born in 1935. Lester comes from a family with a great racing tradition: his great-grandfather Tom Cannon rode 13 Classic winners, his grandfather Ernest Piggott rode three Grand National winners, and his father Keith trained Ayala to win the 1963 National. Lester has ridden 30 English Classic winners including nine Derby winners. Piggott retired as a jockey at the end of the 1985 flat season and became a trainer. His Eve Lodge stables housed 97 horses and sent out 34 winners. His burgeoning new career commentator and presents sports programmes on both BBC radio and television for many years. Slovenian mountaineer Tomo Cesen was born on this day 1959. 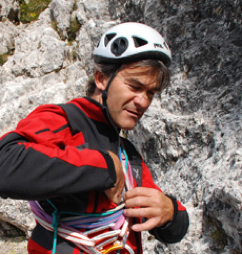 He specialises in solo ascents in the Alps and Himalayas. At the age of 26 he reported that he had enchained the three Great north faces of the Alps, becoming the first person to do so solo in winter. He also claimed a number of other notable mountaineering achievements, but some of his claimed ascents have often been met with scepticism from others in the mountaineering community. The most controversial was his 1990 solo ascent of Lhotse, the 4th highest mountain in the world. One of the more popular routes on K2 is named after him – the Cesen Route – after he soloed it in 1986. 6th – In 1814, Adolphe Sax, instrument maker and inventor of the saxophone was born. 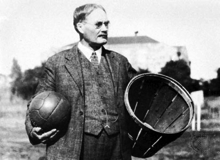 The physical education instructor who in 1891 invented the game of Basketball, James Naismith, was born on this day in 1861. Mark McCormack, founder and head of the International Management Group (IMG) was born in 1930. The former lawyer signed up Arnold Palmer as his first client in 1960 and went on to become the “most powerful man in sport”, according to Sports Illustrated magazine. In the process he became hugely wealthy and his IMG Group was responsible for ensuring generations of sportsmen also gained riches that would have been unimaginable before McCormack redefined the sports business. Soon after clinching the deal with Palmer, McCormack signed a talented South African newcomer by the name of Gary Player and a fledgling American professional called Jack Nicklaus. In 1968, McCormack branched out into tennis, signing Australian great Rod Laver. He soon added Bjorn Borg, John McEnroe, Ivan Lendl, Chris Evert and Martina Navratilova. IMG’s current list of clients includes tennis stars Andre Agassi, Pete Sampras, Tim Henman and the Williams sisters and golf stars Colin Montgomerie and Sergio Garcia. The company has also grown to be a major player in the football market as well as representing athletes from rugby, cricket, motor racing and a host of other sports. He died in May 2003. On this day in 1956 both Holland and Spain withdrew from the Olympics in protest against the Soviets in Hungary. Frank Vandenbroucke, a Belgian professional road racing cyclist, was born today in 1974. He was the great hope of Belgian cycling in the 1990s but a remarkable talent which appeared in his adolescence in athletics and then in cycle racing dissipated in a succession of drugs problems, rows with teams, suicide attempts and finally being disowned by the cycling world. His former wife described him as a cocaine addict. He is known to have had numerous drug and family problems, and to have attempted suicide. However, VDB claimed in an interview with ProCycling’s Daniel Friebe three weeks before his death to have made a near-complete recovery from the emotional issues that plagued him throughout his career. He told Friebe, “I simply realise that the last year and a half have been fantastic for me.” Nevertheless, he died of a pulmonary embolism in October 2009. Pat Tillman, professional American football player, who ended his career to enlist in the US Army in the aftermath of the 9/11 attacks was born on this day in 1976. He was tragically killed on April 22nd 2004 by friendly fire in Afghanistan.